Life can be chaotic When we least expect it – in comes a curve ball. When life happens, how do you respond? My first instinct is to withdraw until the crisis is over. Do you announce it all over social media? Do you tell your besties? Or you take it out on yourself by diving into a bag of chips or bowl (entire carton!) of ice cream? Taking care of yourself during a time when people are relying on you is critical. Seriously, I know you are thinking “I don’t have time” or ‘that’s selfish”, however, if something happens to you, who is going to support everyone else??? Think of it this way, NOT taking care of yourself is actually you showing up half-hearted and tired and not truly being a role model or your best self for your kids, or family members who are depending on you. 1. Breathe! In the moment that can be really hard to do! Studies show that three long, deep breathes, calms anxiety. It’s actually physiologically impossible to be taking deep, deliberate breathes and have a panic attack at the same time. When we are calmer we will RESPOND instead of REACT. We won’t create drama when a cooler head needs to prevail. 2. Take a walk. 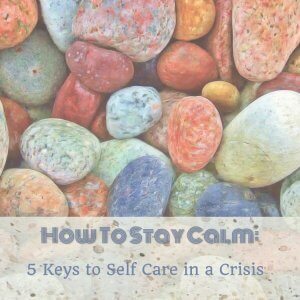 In the midst of chaos, take a personal “time out”. Gently excuse yourself and take a short walk while breathing, as suggested above. Getting away from the situation will also help you clear your head. Also, during prolonged times of stress, force yourself to get up a little earlier, take a walk around your neighborhood or apartment building every day. You can start your day with a little calm, instead of rushing into everything. Studies have shown that as little as 20 minutes in nature will lower your blood pressure and cortisol levels. Cortisol is the stress hormone that causes all kinds of health issues. 3. Make smart food choices. 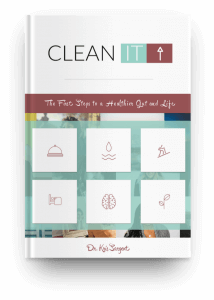 Eating habits seem to get lost in chaos, yet this will leave you even more tired, sluggish and run down. Skipping meals increases cortisol, increasing belly fat and depleting muscle mass. You can eat fast food, just do it in a smart way. Pick the salad! Pick the protein! Stock up on “clean” deli turkey, cheese sticks, baby carrots and pre-cut veggies; get single servings of hummus and guacamole. Get a cute lunch box. These are easy to take along, and will feed your brain, not your belly. 4. Drink water not caffeine and alcohol. A hot, steamy cup of morning coffee is my favorite way to start the day. One cup is probably NOT the issue, it’s when you are skipping meals opting for the coffee to keep you awake and diminish your appetite, then you find yourself ravenous at dinner time, eat too much and then, don’t sleep well on top of it. Too much caffeine causes anxiety and even 2 glasses of wine interrupts sleep patterns and may be hangover producing, not relaxing. 5. Sleep! I know that in chaotic times many of you cannot sleep. Your brain stays on, or you fall asleep and wake up at 2,3 or 4am with your brain racing. 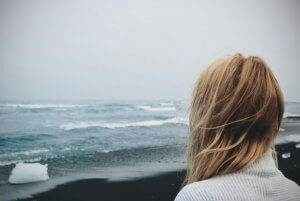 These thoughts are not positive happy thoughts, but what-if and worst case scenarios. I have found 3 things that help sleep: journaling, stop resisting, guided meditation. 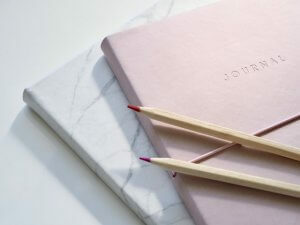 Journaling – keep it beside your bed, only turn on a small light and just write down whatever you are thinking about, get it out, no one is going to read it and no one is going to grade your grammar. Just get the thoughts onto paper. Resistance is Futile – What we resist, persists. We keep thinking about how much we DON’T want something and it’s like we are just pushing and pushing that thing away. When we accept that it is part of our life right now, that we don’t have control over it, it will no longer control us. Until you decide to accept it, the very thing you DON’T want will continue to control you. Guided Meditation – This may sound a little woo-woo to some of you. Just search on your favorite music app for guided relaxation meditations and you will find some for free. From 5 minute to an hour or more these guided meditations keep your mind focused by telling you to focus on certain things, like relaxing certain body parts or a mantra. Chaos is going to hit. It’s part of life. Taking care of yourself in the midst of it all is really where you will find your peace and happiness. 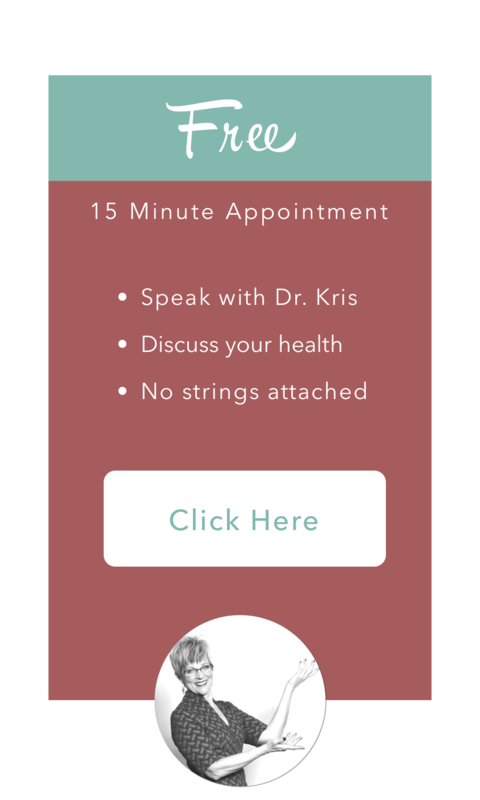 Taking care of yourself at this time is also critical for those who depend on you in this crisis.If you have encountered life’s chaos and have gained weight, and feel like your life is out of control, I offer a free 15 minute consultation to discover personalized solutions. No judgment, no sales pitch, just answers. Look me up on Facebook, let me know how you are doing. 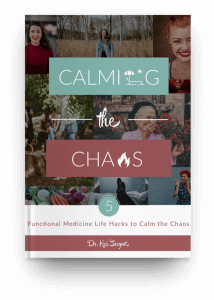 Also, head over to my website and download my free e-book Calm in the Chaos for more tips about chilling out in the storm and smacking that curve ball out of the park! What Labs Are Needed to Diagnose Thyroid Problems? How Does My Thyroid Work?